Every drummer is looking to develop their own sound and musical personality. Cymbals play a huge role in what makes a drummer recognizable. Drumeo’s documentary series takes us on a worldwide journey to learn the stories and processes behind our favorite products. 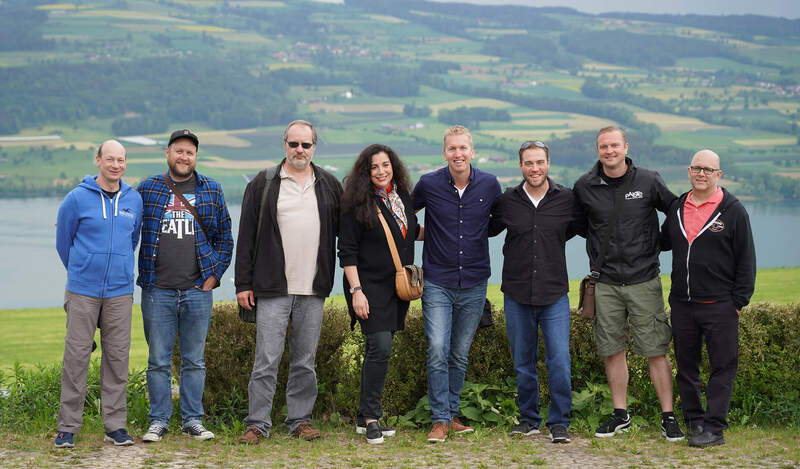 In this video, we travel to Lucerne, Switzerland to the home of Paiste Cymbals. 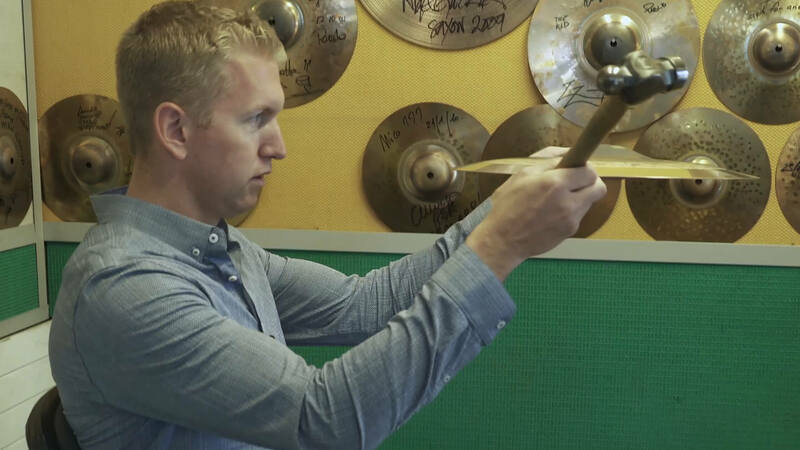 Michail moved the business – who was by then manufacturing cymbals – from Russia back to Estonia where his son, Michail M. Paiste took over operations. Then, as a result of World War II raw material shortages and other challenges, Michail M. relocated to Poland, then Germany, and finally to Switzerland. It takes many steps to get a world class product, and rightfully so. Erich Wüest, who has been a craftsman with Paiste for almost 20 years, told us how they try to perfectly copy the sample (the master cymbal) to meet each model’s unique specifications. Once I donned the safety glasses and ‘uniform’, we took a tour through the factory, playing as many cymbals as we could (have you seen Paiste’s giant gong?). In the showroom I was in heaven, surrounded by everything from 22” rides to tiny cup chimes. I set up an all-cymbal drum kit using a gong as a bass drum. Why? Well, why not? Paiste also let me rock out on a drum set made from the melted-down cymbals of artists who had sent them back for warranty replacement. This amazing kit has a 150-pound bass drum! It felt like the spirit of those artists still lives on in these drums. Each cymbal starts as a shiny metal disc. They put the disc under a circular ‘guide’ to center it, then use the burner to heat up a perfect circle in the middle. Judging by the color once heated, the craftsman will know when it’s reached the perfect temperature for pressing. We left it to cool for around 30 minutes to prevent cracking and any other damage. Paiste uses a special machine for this, because it used to take around 40 minutes to create each bell by hand. This machine makes things much easier. First, choose the size and shape you want, then let the machine quickly press down into the disc to create the bell. While the bell’s shape is key to the right sound, it needs to be perfectly centered since the cymbal pivots and vibrates around it. If it isn’t centered, the cymbal will be off balance and won’t have an even pitch all the way around. Once the bell has taken shape, a machine (that was designed in the 1890s, believe it or not!) punches a hole right through the middle. Once you sit down at the hammering station, they attach a saddle-like strap to one leg to help guide and rotate the cymbal as the machine hammers it. A pedal controls the strength of the hammering, and after countless hits, the entire cymbal is completely covered with the correct pattern. Once the cymbal looks perfect compared to the master template, it moves to the next stage of hand hammering for any necessary fine-tuning. 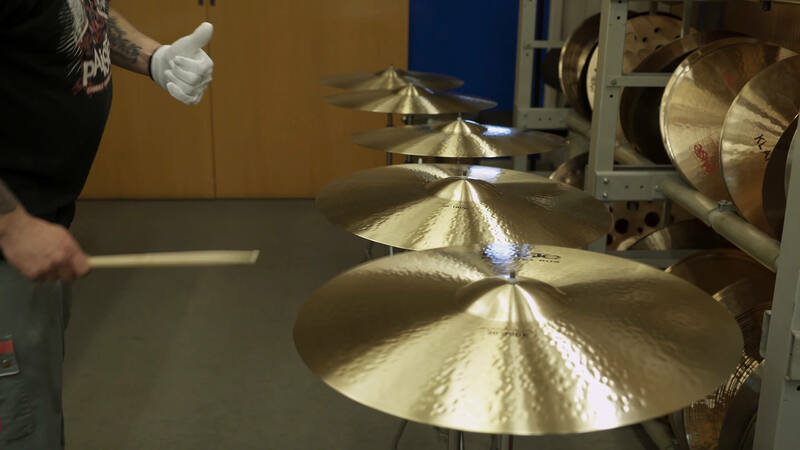 To ensure perfect tuning and shape, we placed the cymbal on a flat surface and tapped all the way around, listening for any inconsistencies or sizzles. Some strategic hand-hammered hits can help fix any irregularities. The cymbal is mounted on a quickly spinning lathe, where I used a sharp blade to apply pressure and smooth down the metal to the correct thickness. Since the cymbal is full of indents from hammering, lathing won’t flatten it completely – instead, it follows the natural grooves. In this step, a craftsman will use a micrometer to measure the exact thickness around the cymbal to make sure it meets the specs for its model. The machine Paiste uses here is the only one of its kind. It spins the cymbal while a sharp motorized blade smoothes out the edges (and keeps drummers like us from getting injured!). A laser printing machine then applies the cymbal’s unique serial number. Choose the logo and position, fill the stamp with ink, and brand the cymbal. That’s it! 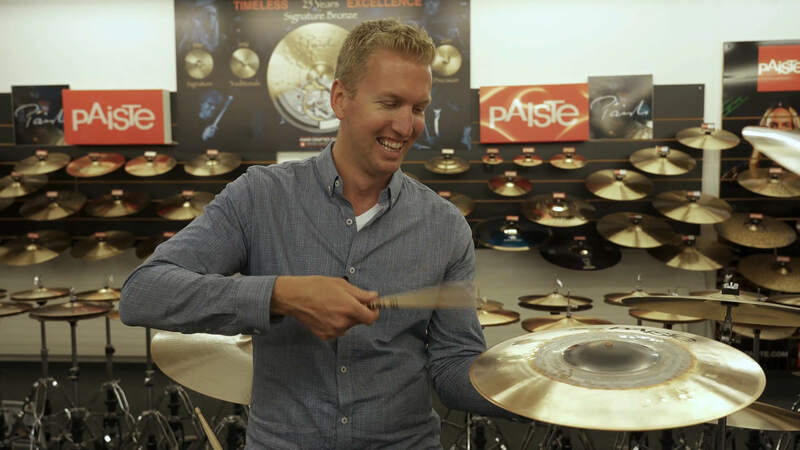 When Paiste develops a new model, they create a prototype, have experts approve its character, sound and function, then use it as the one cymbal to rule them all: the master cymbal. But how do they replicate it perfectly every time? 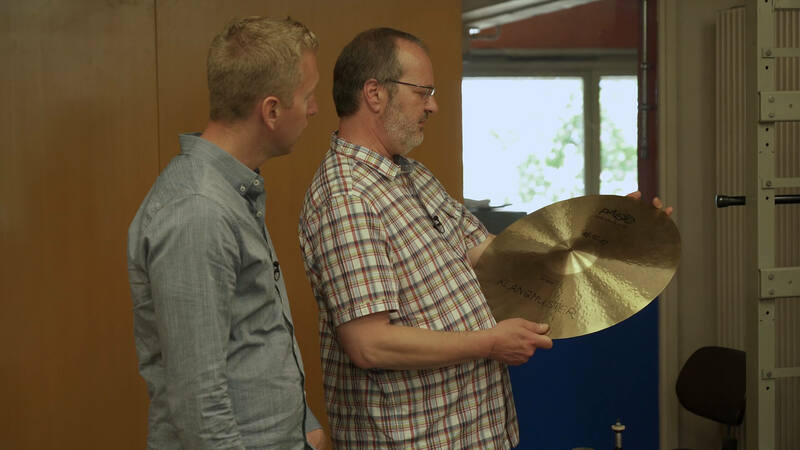 By having experienced cymbal testers compare every new cymbal to the original. If the sound, definition, or feel of the fresh ones don’t match the master, they’re put aside and recycled. Only the best make it out of the factory. This expert cymbal tester says these ones are good to go! Every drummer searches for that perfect cymbal. But music is subjective – you don’t have to follow the exact same path. Do what you want to do, have fun, and make sure what you play represents who you are on the drum set. Thank you, Paiste Cymbals, for an incredible experience we’ll never forget! It may not be perfect, but it’s my very own Paiste creation!